Ipsen executives said the main reason for the move was to be closer to the mass of biotech firms in Kendall Square. Kendall Square will soon welcome another global drug maker as Ipsen SA of France announced Thursday it will relocate its US operations from New Jersey to Cambridge. Executives at Ipsen said the move will add 250 people over the next few years to the 150 employees that the company currently has in Cambridge. The news was announced at the 2018 BIO International Convention being held in Boston. The Cambridge office will be the third “global hub” for Ipsen, in addition to one in Oxford, England, and the corporate headquarters in Paris. The company reported about $2 billion in revenues in 2017, mostly from oncology drugs. Ipsen also specializes in neurology and rare-disease treatments. 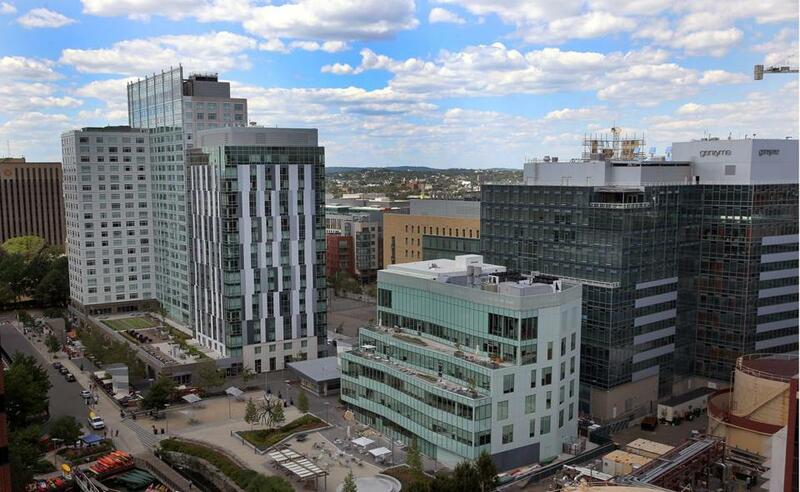 Ipsen executives said the main reason for the move was to be closer to the mass of biotech firms in Kendall Square, largely to develop future partnerships with other companies that could help fuel Ipsen’s drug pipeline. “We wanted to be in the most innovative square mile in the world,” said Richard Paulson, chief executive of Ipsen’s North American operations. Travis McCready, chief executive of the Massachusetts Life Sciences Center, said his agency has pledged $1.2 million in state tax incentives to Ipsen. Those incentives would be authorized by a new life sciences bill that lawmakers sent to Governor Charlie Baker on Thursday. McCready said officials in his agency have developed a relationship with Ipsen executives over the past two years. He said he learned Ipsen was interested in relocating its North American headquarters earlier this year. Ipsen first established a small presence in Cambridge in 2014 and grew it significantly last year, when the company bought a pancreatic cancer drug, Onivyde, from Merrimack Pharmaceuticals. Most of Ipsen’s 150 Cambridge employees work in a manufacturing facility at One Kendall Square, with the rest at 650 East Kendall St., which will be the location of the new headquarters. Ipsen will keep 30 back-office employees in Basking Ridge, N.J.